In addition to the surveys based on actual on-site measurements, TamoGraph can be used for planning WLANs that have not been deployed yet. This type of survey is called "predictive" or "virtual," because Wi-Fi characteristics are predicted for the virtual environment model created by the user. The process of creating and adjusting the virtual environment, selection and placement of simulated APs, and analysis of the resulting WLAN is commonly referred to as "RF planning." 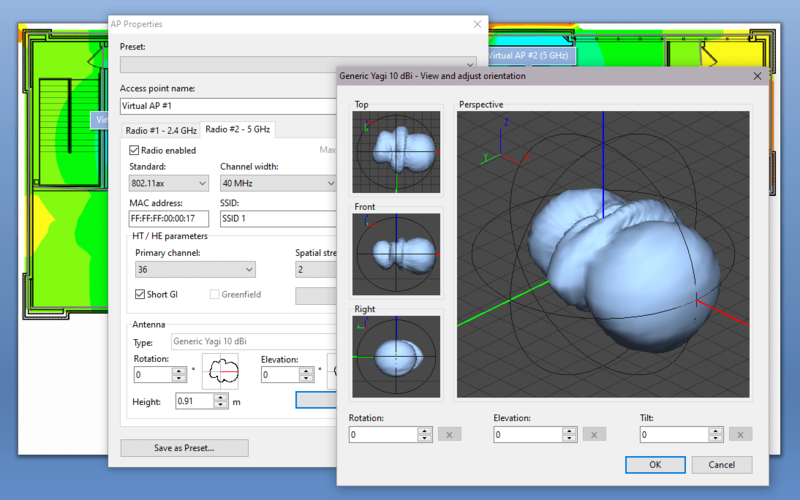 To create a virtual model of the environment, the user needs to "tell" the application about the position, size, and type of the physical objects that affect radio wave propagation. The model uses built-in or custom-designed walls, floors, attenuation areas, simulated access points, and a large selection of antenna patterns. By analyzing the model that matches the building's characteristics, TamoGraph helps determine the number, placement, and configuration of access points – all of which makes it much simpler for system integrators to deploy modern high-performance Wi-Fi networks and provide great RF coverage. The software supports both outdoor and indoor single- and multi-floor models. 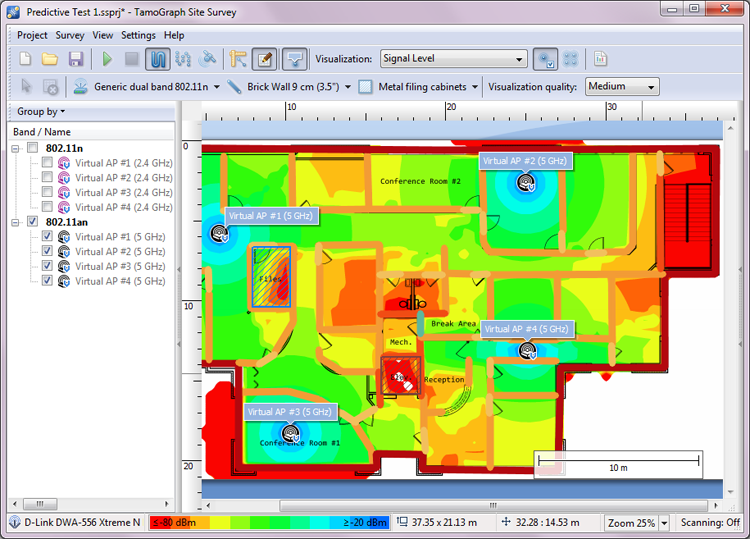 Download TamoGraph Site Survey now to perform pre-deployment RF planning of your WLAN. See for yourself how this tool can help you reduce the time and costs that are involved in deploying and maintaining Wi-Fi networks and improve network performance and coverage. Note: Predictive planning functionality is available if you selected the Pro evaluation mode during installation or if you purchased a Pro license.